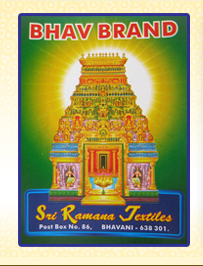 Sri Ramana Textiles was established in the year of 2008. Our Bhavani Carpets (Jamakkalam, Jamkhanalu,Jamkhana, Durry) Bed sheets, Cotton sarees are world famous. Our Carpets are reflecting our culture and tradition. The Name of Proprietor of our company is J.G.SENTHILKUMAR and he is fully Experienced in this Business, for more than 30 years and the father of Proprietor was in said and same line of Carpet business for the period of 50 years. In India, many of the houses are utilizing our Bhavani Carpet.